Our staff sets the table for collective impact, bringing important partners together for the children and families of San Francisco. As the Our Children Our Families Council Coordinator, Alecia manages budgets, calendars, and all moving parts so that the Council functions optimally and best serves the community. Alecia earned her Bachelors in Business Management and Masters in Public Administration. She is a San Francisco native and product of SFUSD. Alecia is dedicated to providing helpful services to others who are challenged by systemic disenfranchisement in her hometown. 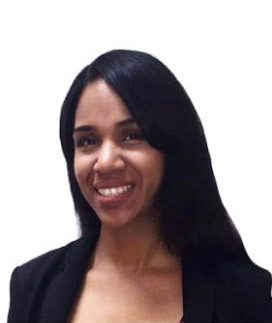 Prior to her work as Council Coordinator, Alecia worked in roles supporting students' academic goals beyond high school, and promoting greater access for City College students. Luis M. Aroche is the Principal Administrative Analyst for the Our Children Our Families Council. As a native San Franciscan and first generation Latino, Luis understands the importance of creating strategies that directly connects the community to public services. As the Principal Administrative Analyst, Luis leads the OCOF charter-mandated digital equity work and the OCOF Training and Capacity Building framework in San Francisco that is built upon the principles of being equitable, diverse, and trauma-informed for current and future workforce to offer empathetic and client-centered services that improve outcomes for all our residents. Luis is passionate about building strategies and tools that disrupt institutional practices that have contributed to structural, socio-cultural and historical disenfranchisement across our city. Previously, he was the Alternative Sentencing Planner for the San Francisco District Attorney's Office where he worked to reduce dependency on long-term incarceration. His work at the District Attorney’s Office has been featured on Los Angeles Times, NBC Latino and the San Francisco Gate. Luis holds a Master of Public Administration with honors from the University of San Francisco and BA in Interdisciplinary Studies degree with an emphasis in counseling psychology from the California Institute of Integral Studies. Simone has spent the majority of her career working for and with the City & County she calls home. In her role as OCOFʼs Senior Analyst, she urges onwards the overarching goal of collective impact through project management, data analysis, and evaluation for equitable and institutional systems change. 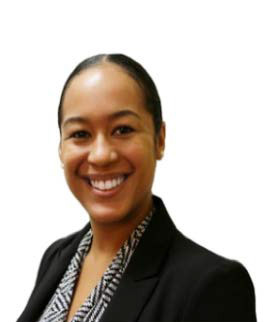 Before joining the OCOF team, she worked with the Human Services Agency in 2016 as a Senior Analyst and at the San Francisco Public Utilities Commission from 2011-2016, ascending to sole Contract & Budget Analyst and overseeing highly visible formal contracts and complex operating budgets. Driven by her experiences in the public sector, Simone finds everyday inspiration in lending her analytic background to the Councilʼs mission so close to her heart.